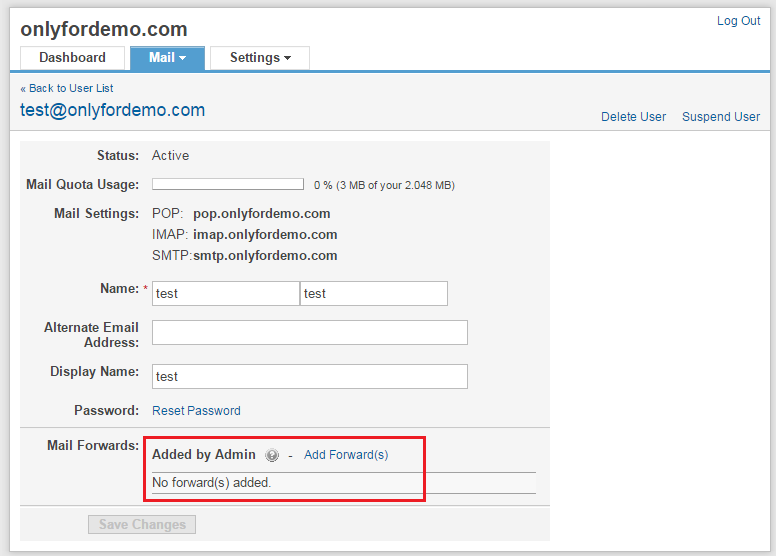 You can set a forwarding address for a user account if required. By doing so, a copy of all emails sent to that user would be sent to the forwarding address you specify. Note: A copy of the email will be stored under the users account as well. Go to Mail >> Manage Users / Accounts in your control panel. Locate the account for which you wish to add forwards, and click on Edit. On the account details page, click on Add Forward(s). Specify one or more email addresses to which you wish to copy this users email, and click on Add.